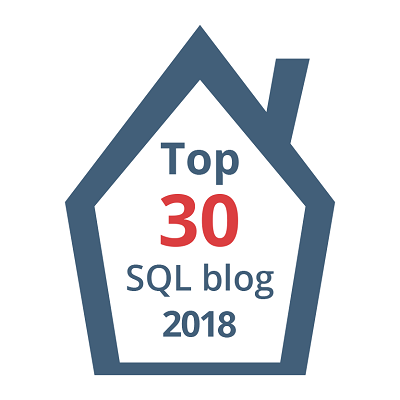 In this post, let’s see how one can add a new feature to your existing SQL Installation. I’ve chosen SSRS(Single Server Deployment, not scaled out) to be Installed on my machine. This Server already has DB Engine and SSIS Installed on it. Please do not do the same on your Production environment unless you clearly understand all the odds of doing the same on an already busy SQL Server. (This is for my Lab purposes) Below Screenshot shows the current status at a very high level of my Server which I’m going to Install SSRS on. 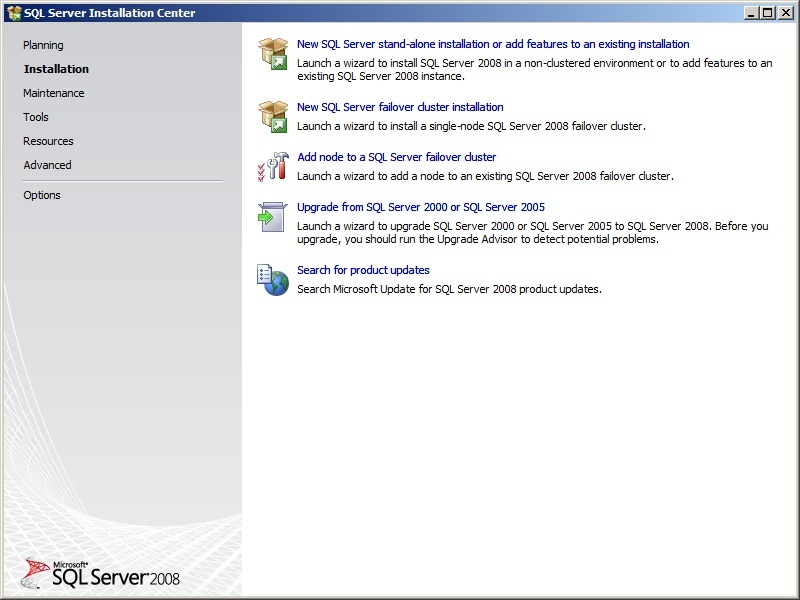 Insert your SQL Server 2008 Media and DC setup.exe, Now navigate to Installation tab and click on 1st link(New Standalone Installation or add features to an existing Installation…) as shown below. Support Rules/Run check will be kicked off automatically by Installation Wizard. Fix any Errors/Warnings and click on “OK”. 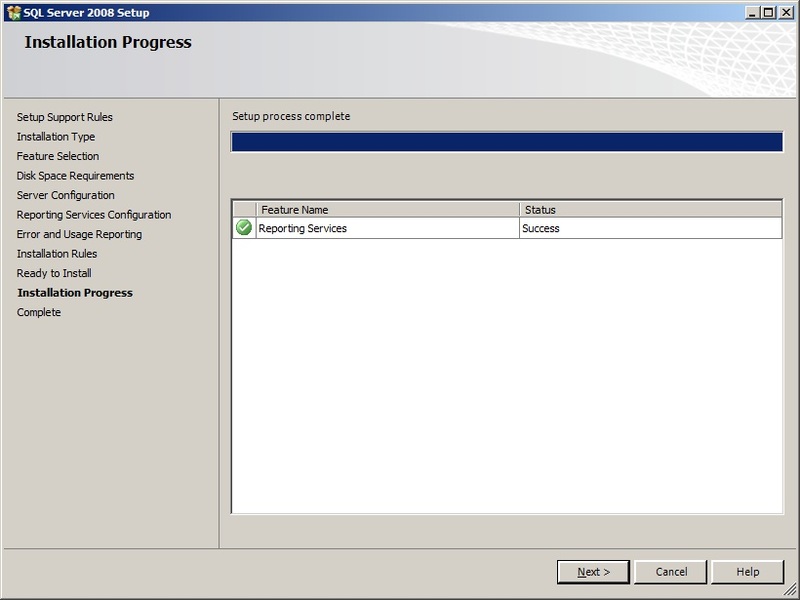 The next phase will be installing “Setup Support Files” by SQL Server Installation wizard. This might take couple of minutes. Now, make sure to select Add features instead of “New Installation” as shown below. Select SSRS in features(see below) and click Next. Now, select your Service account(I’ve chosen Network Service) as shown below and click Next. 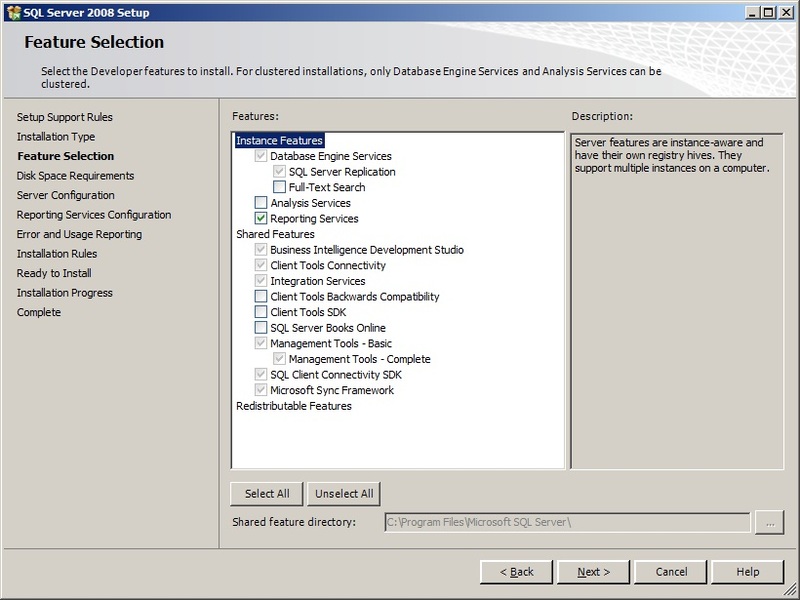 Since I’m installing on a machine which already has SQL Server Instance(In other words, adding feature to existing Named Installation of my SQL Server) Option 1 is greyed out for me. Also, Since I don’t have MOSS, Option 2 is greyed Out. 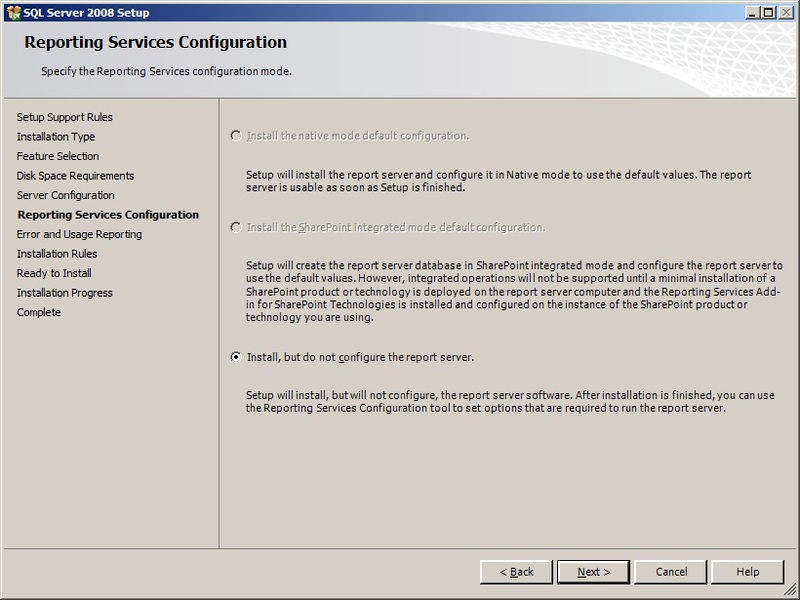 So, at this point Report Server S/W will be Installed, but we’ve to manually configure SSRS by navigating to SSRS Config Manager. So, are we done with Configuring SSRS? Nope! Not yet. We are just done with the Installation, not the configuration. 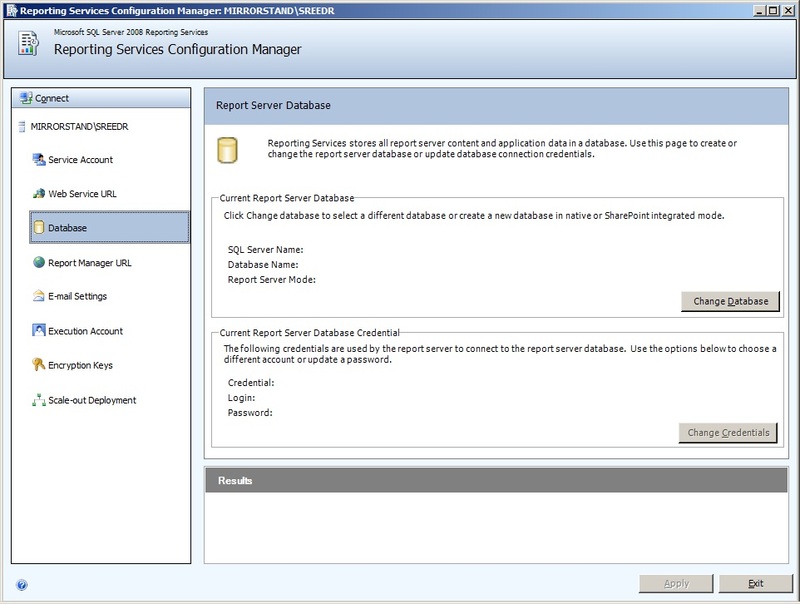 For configuring SSRS Service, you’ve to go to Reporting Services Configuration manager under your Configuration tools. 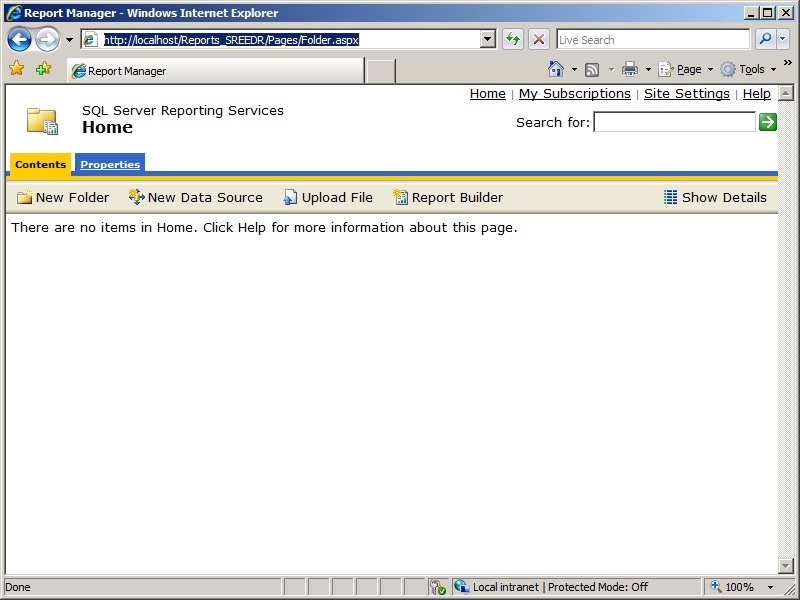 Once Web Service URL has been setup, navigate to Database tab, select on Change Database Button. This is the place where you can select the Database(s) aka Report Catalogs names and select your Instance and respective credentials. I’m going to select SREEDR Instance. At this moment, there are no databases on this Instance and no SSRS related Logins! Step1: select Create a New RS Database(Since, this is my first Installation). 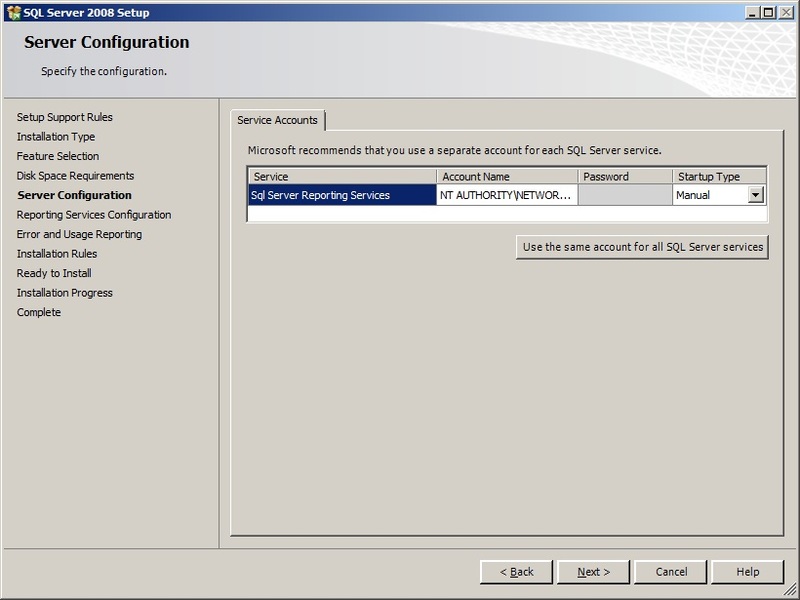 Step4: Enter Credentials how SSRS Service will communicate with your Backend Databases. Since both my SSRS and DB Service are running on a same box, I can leave it to default(Service Credentials). Any ways, I’ve a domain account(It can also be a SQL Server Login) which I can use, for this purpose. Now, go to report Manager URL and click Apply! That’s it… Now your Basic SSRS is all setup and configured. As you can see now, I can open my Report Manager URL! 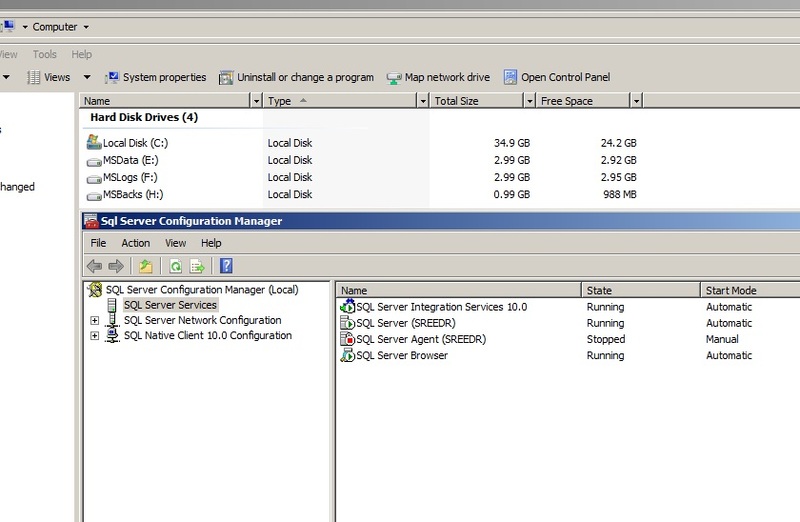 Previous Article Cluster Logs in Windows Server 2008?? 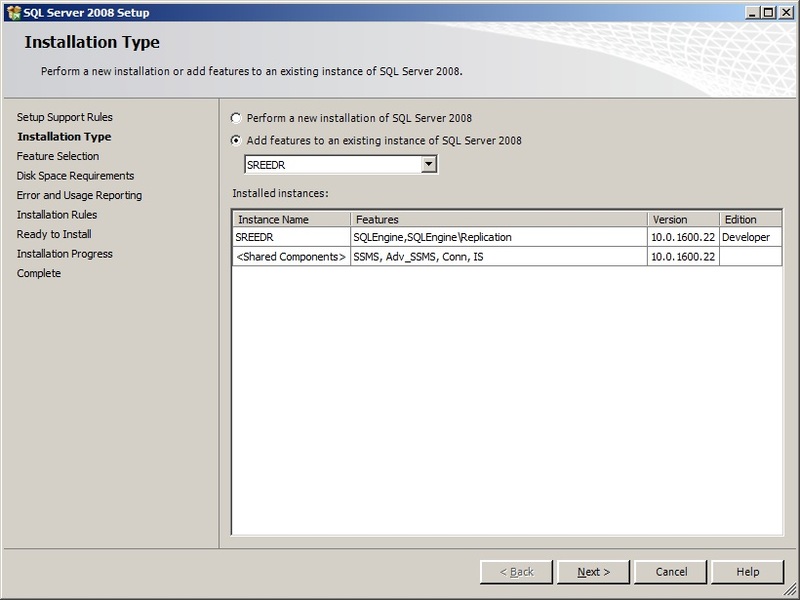 Next Article DB Mirroring from SQL 2008SP2 to 2008 RTM or from SQL 2005 to SQL 2008?